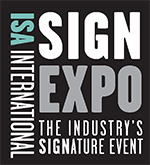 Coastal Enterprises is a proud sponsor of the ISA International Sign Expo and will be exhibiting at the 2019 show in booth #860. Stop by and say hello to Chip and Kellie, grab some Precision Board HDU samples and ask your technical questions! 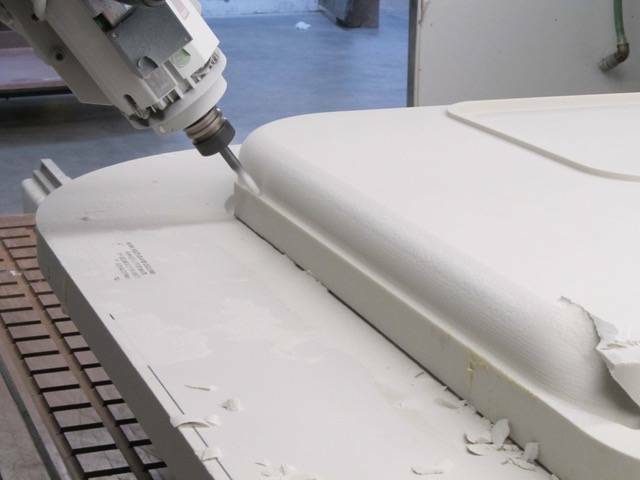 We will have samples on hand of our brand new density 25lb,..
Waterjets have been becoming increasingly popular due to their ability to cut any type of material that comes in the shop door, including Precision Board HDU. You can never predict what the next job is going to require, so having the capability to cut any substrate is a great addition to any shop arsenal. OMAX.. This Faux Wood Precision Board HDU Sign was Hand-Carved! Andrea Craig is the Lead Designer for JH Signs & Designs. 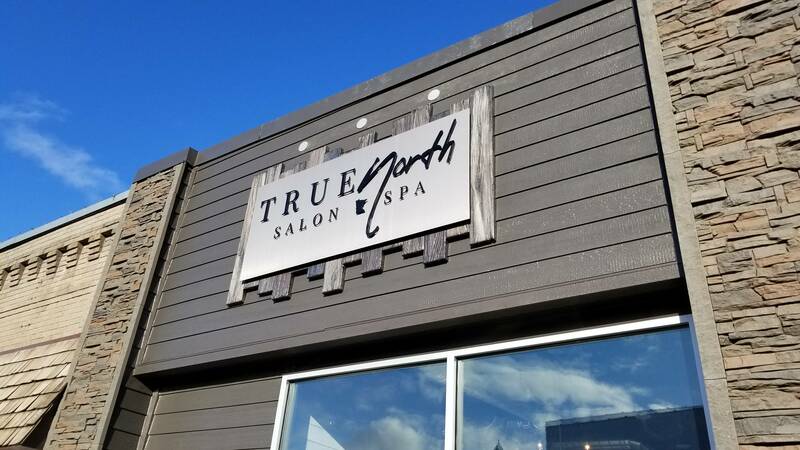 Her client, True North Salon & Spa, wanted an outdoor woodsy feel to her sign, but without the hassle of frequent maintenance due to the harsh Minnesota weather. She decided to go with a sign that looked like wood, but would last a lot..
We often get asked if Precision Board HDU can be cut with a laser jet. Absolutely! 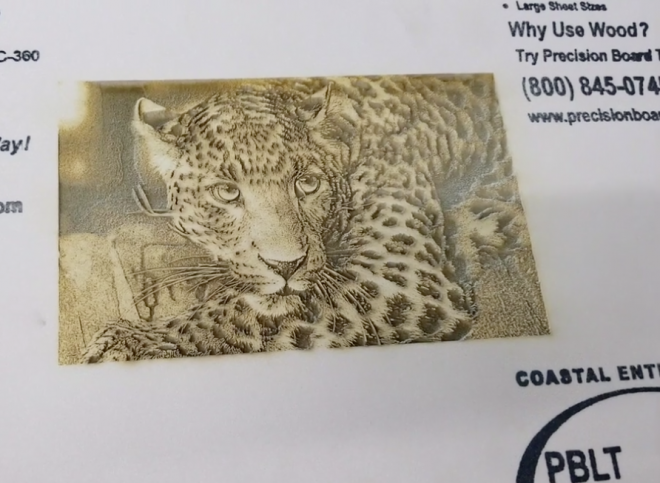 To show what kind of fine detail can be engraved into our material, we reached out to Kern Laser and asked them to laser cut something cool into a sample of PBLT-20 Precision Board HDU. 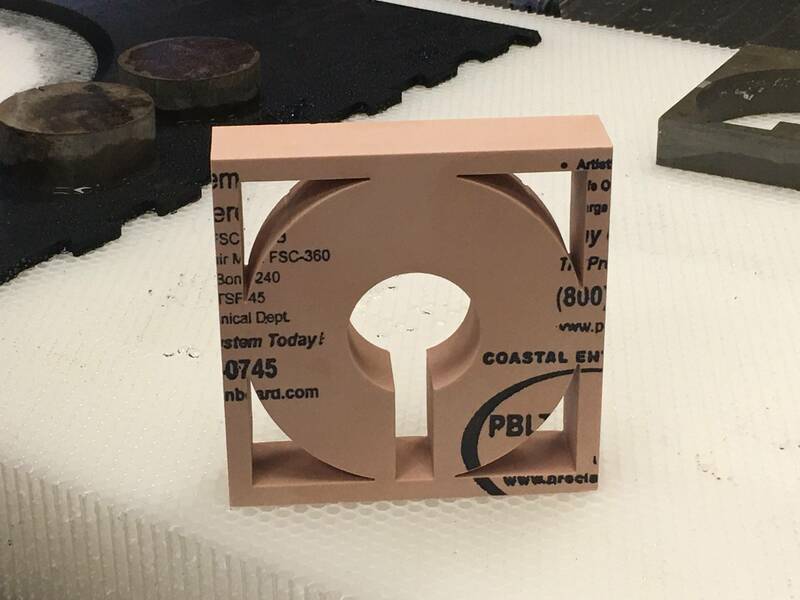 The results are spectacular..
Coastal Enterprises, manufacturers of Precision Board HDU, is proud to host guest blogs written by some of the signage industry’s biggest movers and shakers, posted to the Precision Board Blog. 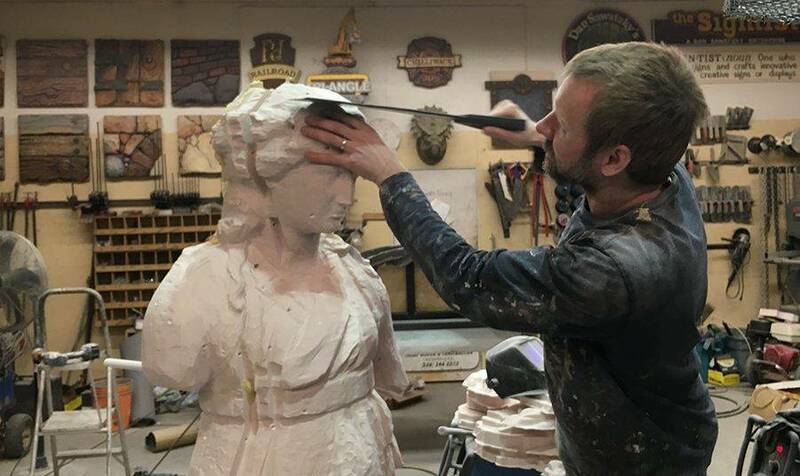 This guest blog is written by Dan Sawatzky with Imagination Corporation in Chilliwack, British Columbia, Canada. This month, Dan tells us how he used PBLT-30 Precision Board HDU.. 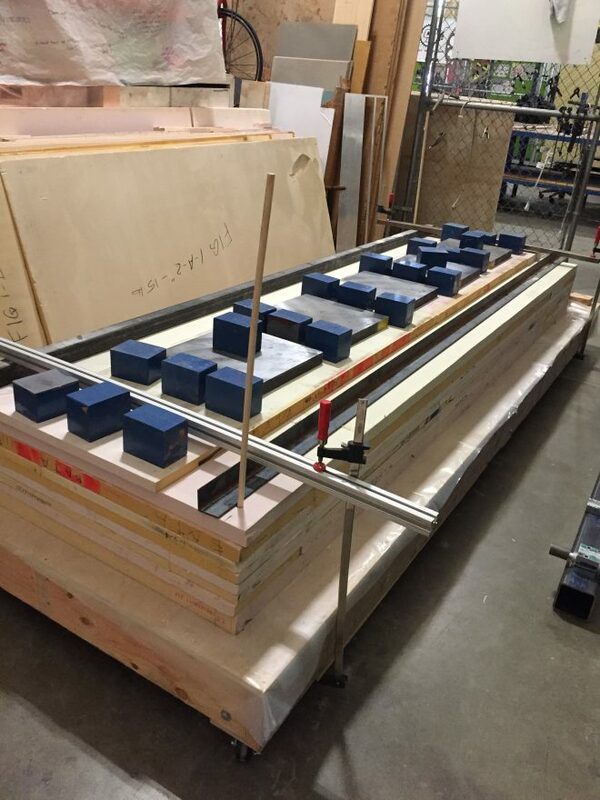 When it comes to routing Precision Board HDU with a CNC machine, we often get asked questions about proper settings for speeds and feeds. 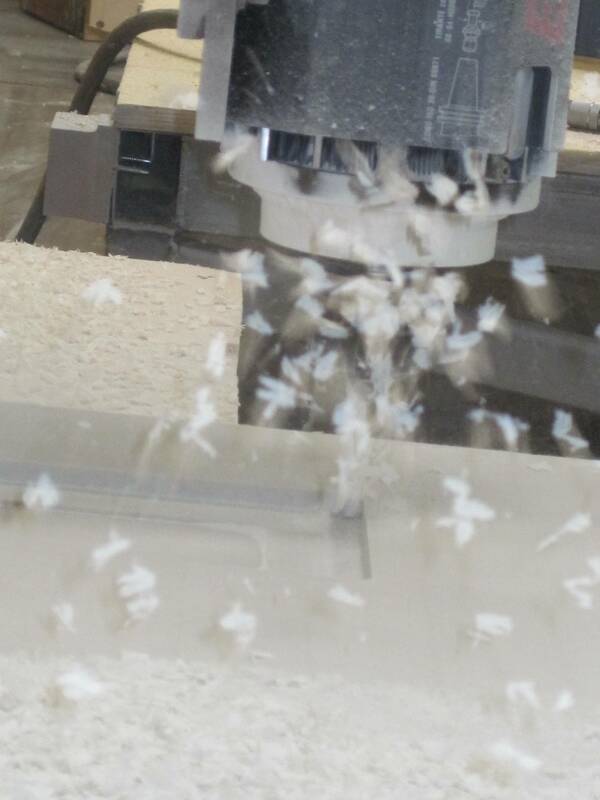 We came across this excellent article from AXYZ, a global manufacturer of CNC router systems and CNC knife systems. They do a great job explaining what feeds and speeds are as.. The Human Powered Vehicle (HPV) Team at Cal Poly San Luis Obispo is doing something a little different this year. 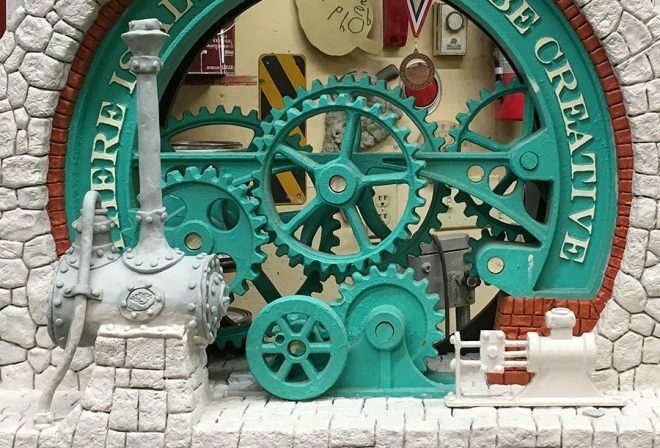 Rather than race at the student competition put on by the American Society of Mechanical Engineers (ASME), they decided to compete at the World Human Powered Speed Challenge (WHPSC) in Battle Mountain, Nevada this September. 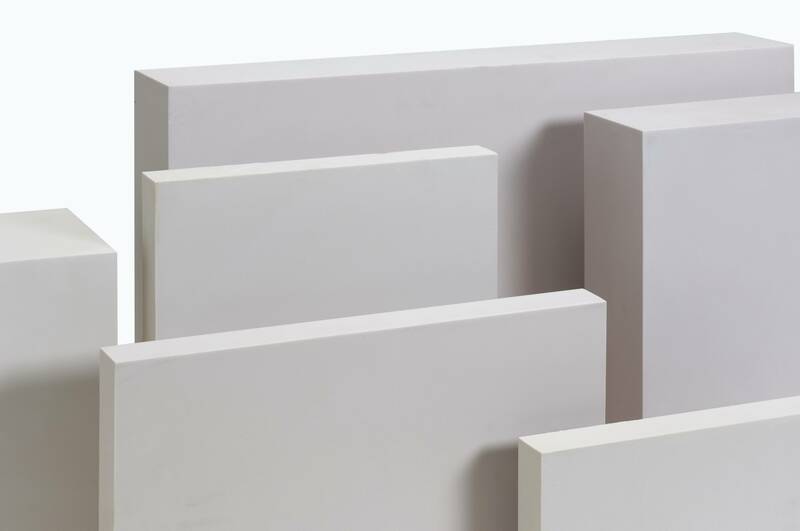 Five members..
Coastal Enterprises, manufacturers of Precision Board HDU, is proud to host guest blogs written by some of the signage industry’s biggest movers and shakers, posted to the Precision Board Blog. 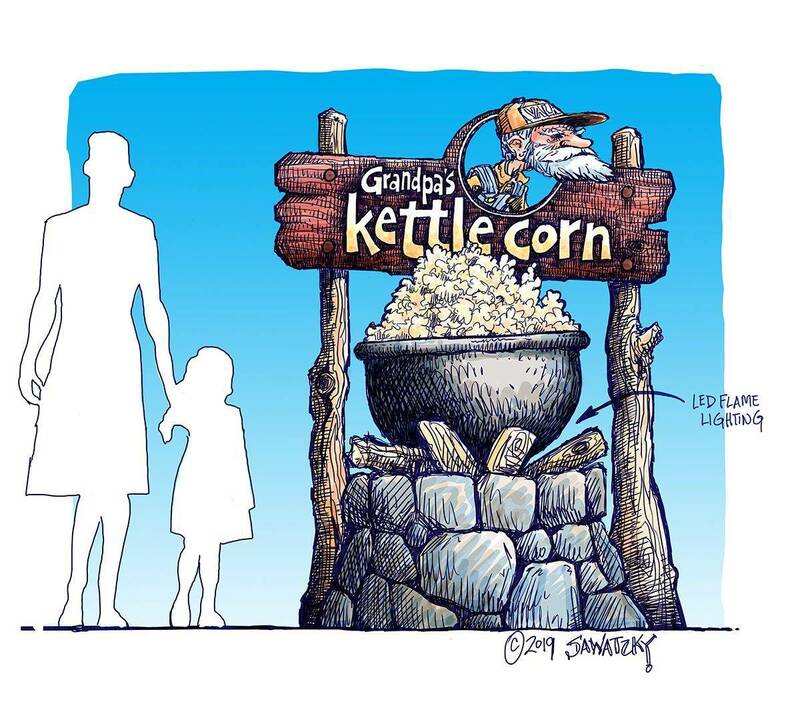 This guest blog is written by Dan Sawatzky with Imagination Corporation in Chilliwack, British Columbia, Canada. This month, Dan gives us an update on his 2019 ISA Sign Invitational..